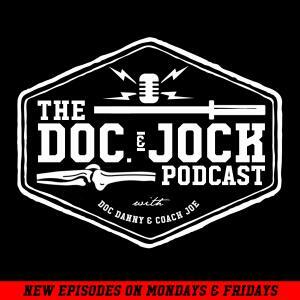 After 249 episodes of the Doc and Jock Podcast, we say farewell, at least temporarily. We use our last 50 minutes on the internet waves to talk about some of our favorite memories of the show, our favorite guests and some of our least favorite. We also talk about what we have learned and where we are headed. Thank you to anyone that has listened, reviewed or been a part of our show. It really means a lot to us and we hope that you have taught you something along the way.